Nothing but smiles for the Wildcats as they walk off the court following their 62-53 win over Grayling. 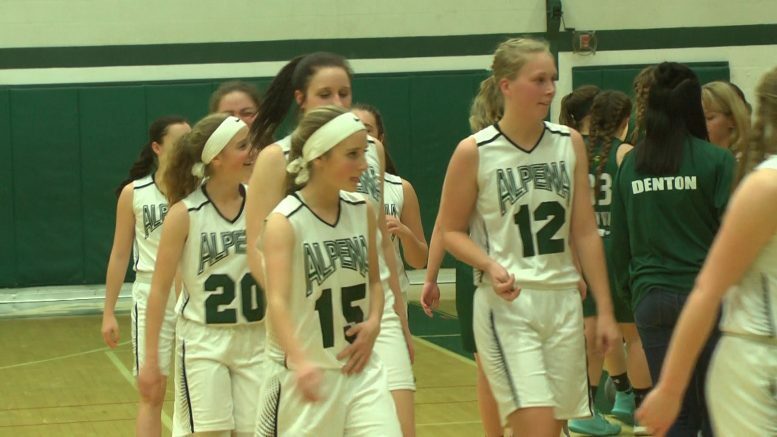 ALPENA, MI — The Wildcat girls looked to get their second win of the season against the Grayling Vikings. They took a 49-35 lead into halftime, but saw their lead drop following a 9-0 scoring run by Grayling to start the third quarter. Alpena (2-1) ended up taking the win 62-53. The Alpena boys also won their game against Tawas 64-44. Chris DeRocher had 33 points and more than 20 rebounds in a double double performance. Dillon Mochty had 15 to lead the Braves.